Regional think tanks are proliferating. Is the quality keeping pace? Asia’s research footprint is growing. China recently pledged support for 100 new think tanks to expand ministerial analytical capacity. India’s think tanks are poised to benefit from a growing base of knowledge workers. In April, China and Pakistan announced a joint think tank focusing on economic growth, and China has also entered into a “think tank alliance” with the EU to support research about Eurasian economic development. Despite this progress, the quality and influence of think tanks is not something that can be directly imposed; rather, it must grow organically from conditions that enable independent scholarship. In the new global economy, ambitious countries are striving to exploit any advantage. A variety of rankings measure the vague concept of “competitiveness,” defined by metrics such as regulatory friendliness, infrastructure investment, and innovative culture. However, for research capacity, country-level rankings have struggled to move beyond university reputations and journal publications. The University of Pennsylvania’s (UPenn) 2014 Global Go To Think Tank Index is one effort to do so. For the raw numbers of think tanks, the top of the UPenn index’s ranking is predictably dominated by size (USA, China, UK, Germany, and India). This is not a perfect correlation, however. 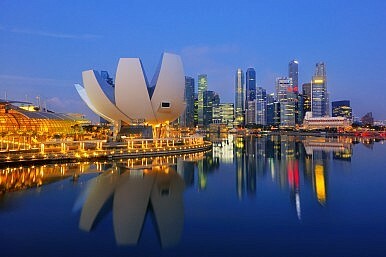 Singapore’s ratio of think tanks to population is nearly five times that of the United States. To further measure think tank prowess, the number of think tanks can be divided by GDP (then multiplied by 10,000 to yield readable statistics), to measure which country “does more” with its resources. By this measure (chart below), Argentina has the highest capacity among the 10 countries with the most think tanks, followed by the U.S., U.K., and India. China and Japan are at the bottom of the top-10, and Singapore (outside the top-10) has only 13 percent of Argentina’s capacity. Further, Singapore’s six listed think tanks equal the number in South Carolina and West Virginia, American states with far smaller populations and modest research reputations. Singapore’s surprisingly low position may be a result of two factors. First, public and private resources have been committed largely to for-profit enterprises, reflecting the legacy of a fiercely developmental orientation. Second, Singapore is decades beyond basic development challenges and needs little policy advice on issues such as poverty, health, and urbanization (popular topics for think tanks). Singapore’s thought leadership in international development has evolved only recently. 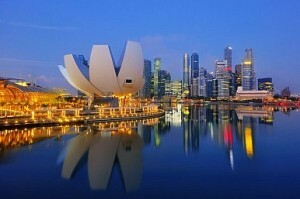 Nevertheless, the country provides robust financial support for higher education, and a host of new think tanks affiliated with the National University of Singapore, Nanyang Technological University, and other institutions is certain to boost capacity and elevate Singapore’s image in the international research community. The second chart (below) is a comparison of think tanks across Singapore, China, and India, using UPenn index data. Singapore is an outlier because of its small population. Notable is that China far outpaces India in energy and resource policy think tanks, and marginally in foreign policy and international development. By contrast, India outpaces China in environment think tanks. Of think tanks with the greatest impact on policy, India, Japan, China, South Korea, and Singapore each has only one (of 70), and Malaysia two. By contrast, North America and Europe have 42. Stepping back from the numbers, it is important also to consider think tank reputations. Concerns persist about the quality and impact of think tank research in Hong Kong and China. According to a recent commentary by Fan Bi, deputy director of the State Council’s General Research Office, one problem is imbalanced capacity; private think tanks are outnumbered and out-resourced by government-affiliated think tanks. Further, think tanks are aligned with national developmental priorities; economics institutes are numerous and influential, while those focusing on international politics and strategy are less prominent. Some think tanks target policymakers exclusively and actively avoid publicizing findings, as is the case for Hong Kong’s One Country Two Systems Research Institute. Think tank challenges run even deeper than resources and strategies. According to Fan Bi, “to become a real mechanism that influences policymaking, [China’s think tanks] will need to provide answers to big societal problems, and the solutions must be independent, professional, enforceable and constructive.” Andrew Fung Ho-keung, chief executive officer of the Hong Kong Policy Research Institute, argues in a recent op-ed that “creating a noise in society” is “very crucial” for think tanks. Both comments speak to an interpretation of the role of think tanks that goes beyond mere policy analysis; the importance of human capital and influence of evolving social values are rising. India is one example. A recent Times of India op-ed argues that “intelligent, highly qualified people [will] leave their jobs and try to make a real difference to the world they live in.” In the same article, Suresh Senapaty, former CFO of Wipro, states that “there definitely are more people interested in public policy. This is good because an informed and engaged citizenry is always good for a democracy.” Such a trend bodes well for think tank capacity in India, a country where sound policy advice is needed to address a host of problems including pollution, public health, and urban sanitation. Further, growth in India’s think tanks appears to be driven by the personal interests of an increasingly educated citizenry, rather than top-down efforts. Research industry leaders such as Andrew Fung Ho-keung believe that think tanks can play an important role informing policy to maintain global competitiveness. China and India have the opportunity to use think tanks not only to supply policymakers with useful analysis, but also to build each country’s international influence through research that is meaningful and broadly applicable. To this end, culture matters. The next generation of think tank capacity should emerge not from direct government initiatives, but from the improvement of conditions that support independent thought. This includes an education system that teaches critical thinking, an intellectual climate that tolerates alternative perspectives, and a political pragmatism that values evidence-based policy. Letting “100 think tanks bloom” means watering the soil to enable the organic growth of ideas, rather than merely trans-planting ideas already grown elsewhere.